Join us for a hilarious dive into the world of Death Care! 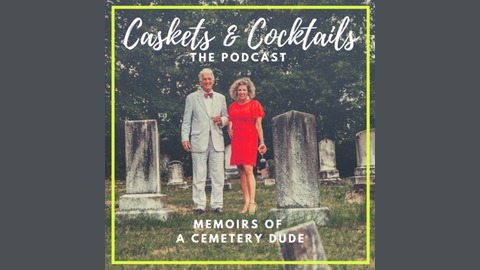 Mr. Danny, a cemetery industry veteran, & his daughter Katie will sip on a cocktail or two as they reminisce about all the crazy things that go on in a cemetery, like a biker gang sting op or a graveside brawls! If you are a fan of true crime, the paranormal or comedy podcasts then you will love this indie podcast's dad & daughter hilarious combo! 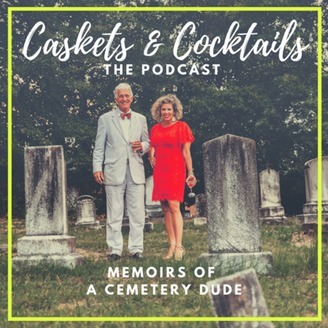 Hit subscribe today to listen the tales & whiskey flow during this colorful memoir of an unusual industry & remember, Caskets & Cocktails will be the last ones to let you down! Become a supporter of this podcast: https://anchor.fm/casketsandcocktails/support.